This database is available for subscription online on GOLD, Grey House Online Databases. 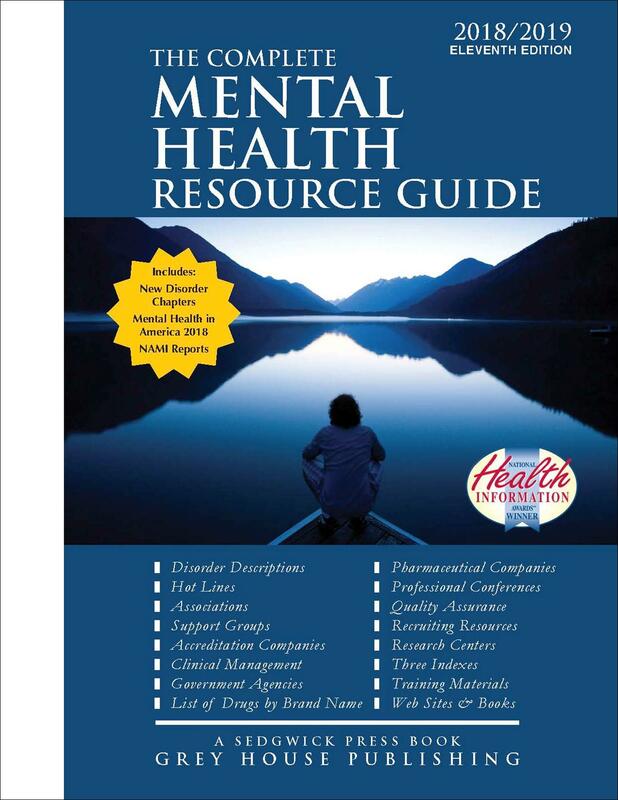 Grey House Publishing is proud to announce the eleventh edition of The Complete Mental Health Resource Guide. This edition has been broadly expanded to offer the most comprehensive information covering the field of behavioral health, with detailed, comprehensive and critical information for not only those challenged with a mental disorder, their family and support network, but also for paraprofessionals and professionals in the field. 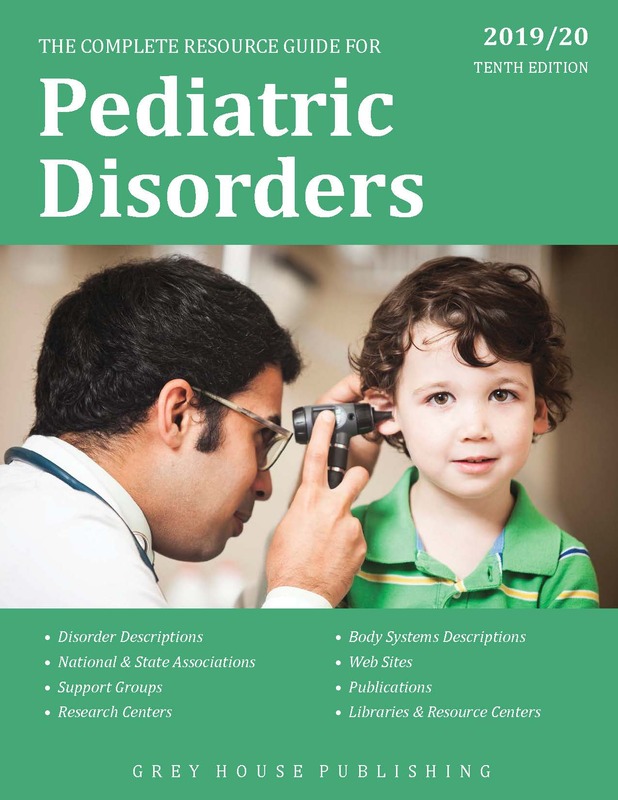 This new edition is a one-stop shop resource, providing comprehensive coverage of 22 major mental health disorder categories, from ADHD to Trauma and Stressor-Related Disorders, with over 100 subcategories and specific disorders. Impulse Disorders and Conduct Disorders have been combined under the new name—Disruptive, Impulse-Control and Conduct Disorders. Users will find a variety of disorder-specific resources, including Associations, Books, Periodicals, Research Centers, and Support Groups. In addition, The Complete Mental Health Resource Guide includes Professional Services, Publishers, Facilities, Clinical Management and Pharmaceutical Companies. Mental Disorders by Diagnostic Category educates patient and professional about categorical diagnoses, symptoms and treatments. 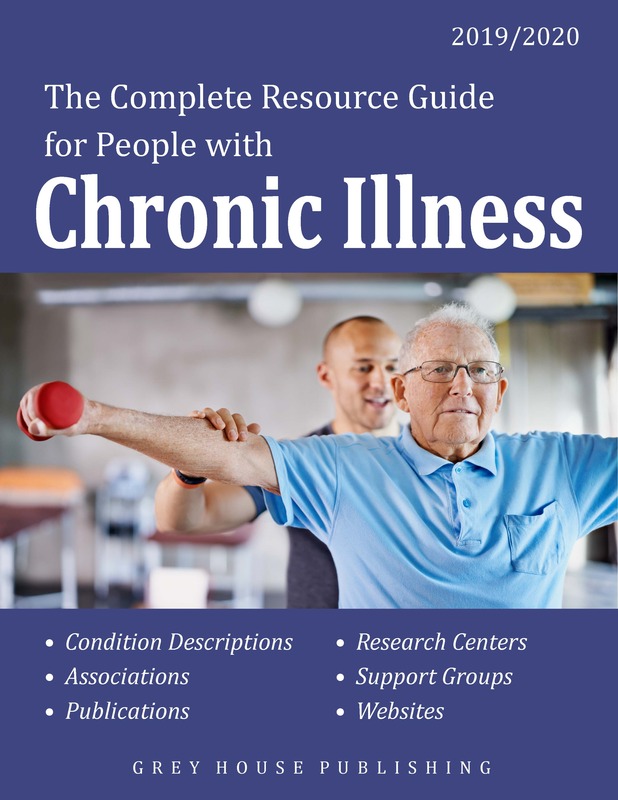 Each chapter in this section begins with a description, written in clear, accessible language and includes symptoms, prevalence, and treatment options. Following the descriptions are specific resources relevant to the disorder. More than 1,000 National Associations, and Federal and State Agencies are profiled in these sections that offer general mental health services and support for patients and their families. This section provides resources that support the many different professionals in the mental health field. This section lists major publishers of books and magazines that focus on health care or mental health issues. This material is suitable for both professionals in the mental health industry as well as patients and their network community. This section lists major facilities and hospitals, arranged by state, which provide treatment for persons with mental health disorders. which provide patient and medical data, as well as marketing information. phone, fax, and web site. Detailed listings offer complete contact information, with email address, web sites, mailing address, key contacts, and a description of the organization or resource. Also includes an Appendix of Mental Health Drugs and Three Indexes: Disorder Index, Entry Index, and Geographic Index. This compilation of mental health resources, support services, and professional development sources will be widely used in public, academic, and health care libraries. PRINT PURCHASERS GET ONE YEAR FREE ONLINE ACCESS! With a subscription to the online database, users can access this wealth of information in just minutes. With the keyword search, quick search and expert search on GOLD, users can quickly and easily find the information they're looking for. Plus, subscribers can do quick or in-depth searches, save their searches, save search results, sort search results, view company profiles, download contact sheets, click through to email and web hotlinks, and so much more. Now, print purchasers are eligible for one free year of online access! Call (800) 562-2139 to set up a tour of the online database. 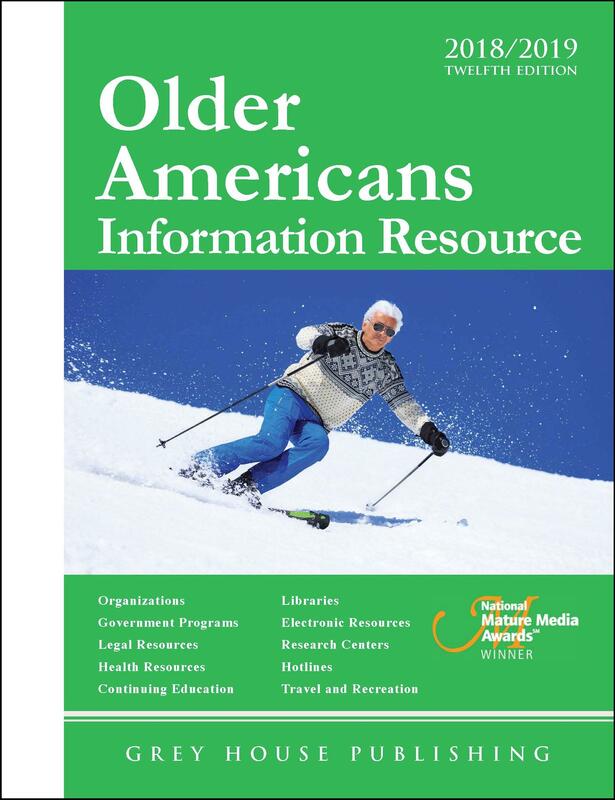 Older Americans Information Resource is the most accurate, up-to-date resource that offers information on the prevalent social, health and financial issues facing older Americans in the 21st century, as well as recreational and educational opportunities to enrich their lives. 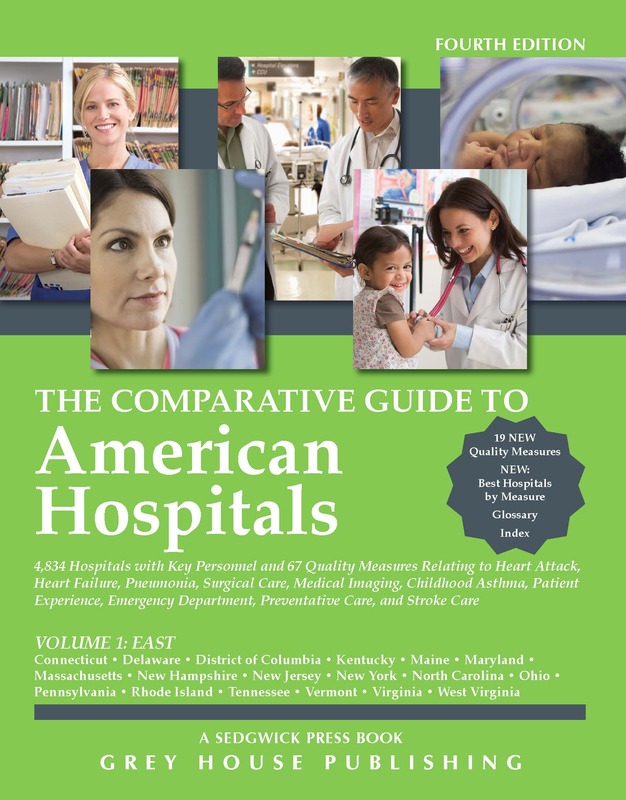 The Comparative Guide to American Hospitals provides a snapshot profile of each of the nations 4,300+ hospitals. These informative profiles illustrate how the hospital rates when providing 47 different treatments (26 are new to this edition) within seven broad categories.